Please forgive me, it's been over a month since my last post. I have limited excuses. Except life and kids and school holidays etc etc. But I'm here to make it up to you. It is Sew Mama Sew Giveaway day again and I'm back to participate - in triplicate! That's right - I'm offering 3 prizes - and they are pretty good prizes I think. There are no hoops to be jumped through or planks to be walked. Just leave me a comment with your email address and I will do random type things to determine the 3 winners. Anyway prize A: A goody bag crammed with all sorts of fun and pretty things. Prize B: A bag stuffed with fabric - and we're talking YARDAGE peeps, not just little bits. Some of them are smaller but some of them are a couple of metres! Prize C: Custom made doilies! You can choose the colours from my range and I will make you either 4 small (8cms diameter) , 2 medium (12cms) or 1 large (24cms) doily. The picture shows 2 small and 1 medium so you can get a drift of the sizes. So there you have it - my THREE offerings for Giveaway Day. As I said just leave a comment on this post by midnight on May 12th and I will pick 3 winners. Awesome giveaways Bree! I would pick the doiles, I would love the have some of your work! Fabric, sigh.... Oh how I need fabric! If I won, I'd choose prize A, the goody bag! Goody bags are the best! 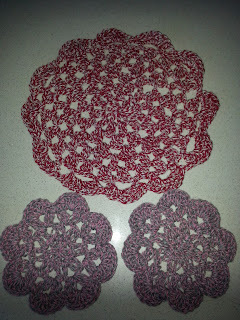 I crochet so I make doilies a lot (currently into dishcloths!) but I would love one of the first two prizes (your doilies are lovely though!). yay, fabric! and my sister is a crochet genius! Prize A is truly lovely. Thanks for a great giveaway. Wowzers! What a prize! Amazing giveaways. Oh, how I would love the fabric. Oh, and the assortment of goodies. Thanks for the chance to win some fabric. 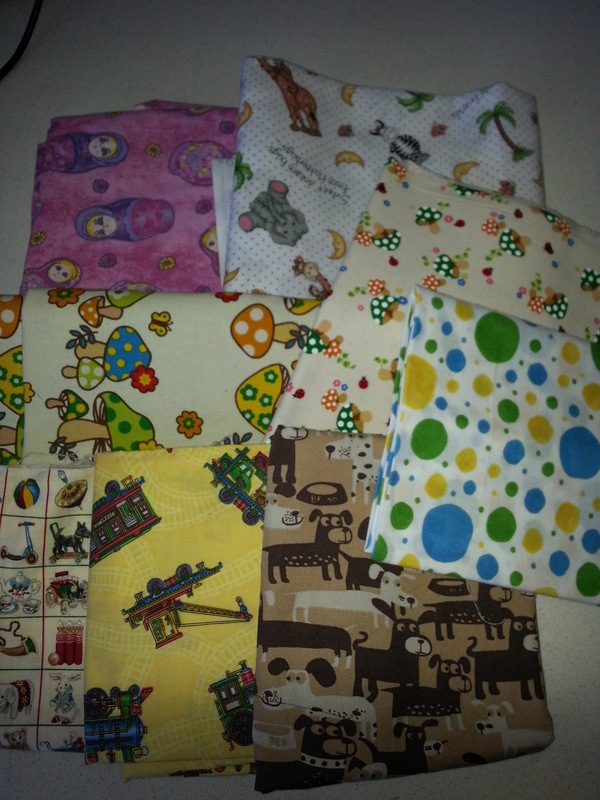 I have been making baby quilts for some of my co workers and could use shoemint more. Great giveaway. I'd love to win one of them. Thanks for the chance. Great giveaways! I'd love to win any of them. Thanks for the chance to win. Comment #13 - that's got to be lucky. Right? Great prizes! I love goodie bags! Awesome - thanks for the opportunity! fun fun! Thanks for the chance! Wow! These are great! I would love the goody bag! I think all the prizes are delightful! I would love some doilies! I would choose prize a. Bunches of stuff! You can never have too much stuff! What great choices thanks for the chance. Thanks so much for the chance. What great giveaways!! Your goody bag looks sweet. such lovely fabrics ... Thanks for the chance! Thanks for the giveaway! I like your blog. These are great prizes! I'd pick #1 or # 2. Wow that's very generous of you! I would love more fabric! I would love the prize B! Thanks for the giveaway. Your very kind and talented. Amazing giveaway,thank you for the chance to win it.i would love prize number 1,great that we could choose.Have a lovely day. That fabric looks gorgeous - and just perfect for all the babies my friends keep having.. Very nice. Would love the fabric (if allowed preference). thanks for the giveaway. I would love to win #1. I see yarn and I am new to crochet. I'd have to go for #2. I love random fabric (for myself and to share with folks I swap with). Great prizes! I love the idea of the first prize! So many fun things! Aww, free fabric, thanks for the chance! Thanks for the generous giveaways! I like A or B.
I like the fabrics! Thanks for the wonderful giveaway! great giveaways! I'd choose the pretties or the fabric, because apparently, according to my boyfriend, I'm on the verge of hoarder status when it comes to fabric so I can never have enough! Very, very generous. If I could choose, I would decide for B...although I like A, too lol! what fun prizes! I would love any one of them! So pretty. Thanks for the chance to win. Goody Bag A looks like so much fun. What a generous giveaway! I love the first group - so many great things in there :) Giveaway day rocks!!! I'd love to win the handmade doilies please! They look lovely. If you have white/cream or pale green in your stash then that is what I would choose. Thanks so much for such a generous giveaway! Great giveaways! I would pick B if I was lucky enough to win. Thanks for the chance. Wow, nice giveaway! I'd like prize A, thanks! What talent you have! 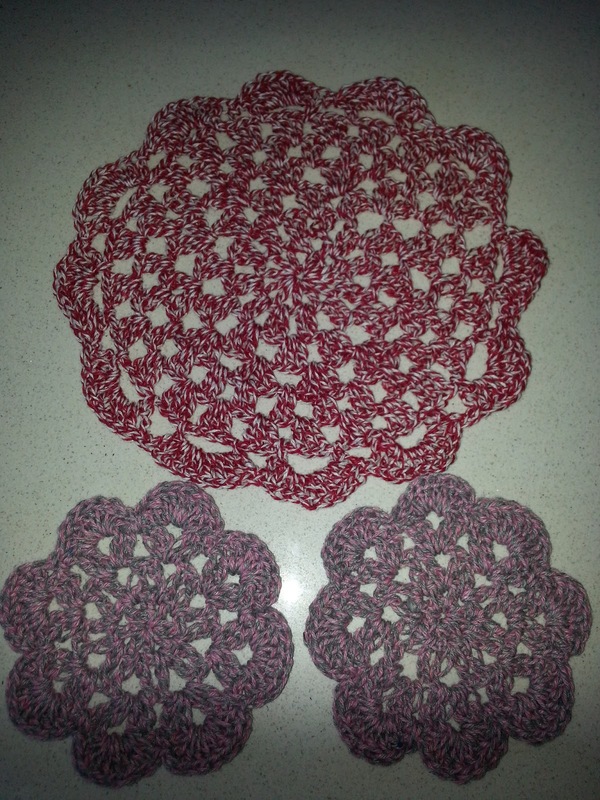 I've tried over and over again to make doilies. Not sure what happens, but mine look nothing like yours. I end up pulling all the stitches out. How generous to do three giveaways! I can't believe your doing three. If I have a chance would love some fabric. Such fun prizes. 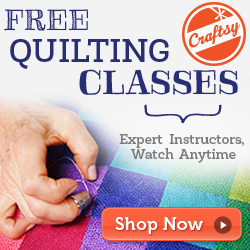 As a new quilter, I'm hoping for one with fabric as I haven't a stash to speak of... yet! The yellow text is a little hard to read. I'd love a goody bag! Your selection of yardage is divine. LOVE the mushrooms! The first photo is looking like it might be my favorite but all the items you have up are wonderful. Thank you for the chance to enter your generous giveaway. Thanks for the offer. Such nice fabrics. Thanks for offering three!!!! I'd love to win fabric though!!!! Love your work! Generous giveaway. What fun prizes... goody bags and handmade loveliness! I love the doilies and the fabric! Thanks for the chance to win. Fun prizes, especially #1. There are some great things there. Those prizes are wonderful. thanks for the give a way. what awesome prizes! I would go with A .. along with fabric I also have a yarn obsession. I hope I win and I hope I win prize A. Very nice give-away! ooooo, I am always willing to give fabric a new home!! I hope I win but I will cheer on whoever does!! I have two little boys so the fabric looks perfect, but doilies are so fun too and I know exactly where I'd put one! All your prizes are wonderful! All that fabric would be amazing! What a fun selection of goodies! Awesome giveaway. Thank you so much. I would choose either A or B. I love the doilies, but I have a bunch that my friend made for me. I love goody bags, it's like Christmas! I'd love prize B-- mushroom fabric!! All these prizes are ace! Oh what a great giveaway. Would love to be the proud owner of the fabrics. They are gorgeous. Thank you so much for the chance to enter your giveaway. Thanks for a chance to win a very generous giveaway. And for sharing your ideas on your inspiring blog. What a great giveaway! I especially love the fabric bundle - some of those would be great for a quilt for my little guy! Oh lovely prizes. thanks for the chance to win! Awesome giveaways! I am still pretty new to the sewing world & I am grateful for the chance to grow my stash! Thanks! I would choose prize 3- the doilies, because my grandma used to make these and I would love to have some to remind me of her, thanks for the chance to win. Can never have too much fabric. Great prizes. I would love the 2nd prize as there are some great boys prints I could use to make something for my sons. All three are great giveaways. #1 intrigues me . . . Thanks for chance to win. The fabric looks fun. what a very generous giveaway, lots of lovely goodies. How generous! Thanks for the chance! Ohh, lovely giveaways! The goodie bag is so neat! thank you for a chance to win those great prices! What lovely giveaways...thanks for the chances. They look they would be really fun prizes to get. Thanks! Yours is definitely the easiest entry. How fun, thanks for the giveaway! I love the fabric. Some of it looks like boy fabric. My mom has 3 great granddaughters to 12( I think ) great grand sons. We are over run with little boys in the family. more fabric would be nice. Lovely, generous prizes. :) Thanks for participating! What a generous giveaway. The goody bag looks interesting. If I won I would choose the B package, but I would be happy with whatever came my way. Thanks so much! Awesome giveaway. I am really interested in #1, but any would be welcome. Thanks for the chance. I would love to receive prize #1. Thanks for the lovely giveaway packages! Great giveaways. I love the goodie bag and the fabric.! love those fabrics. Thanks for a chance to win. can't wait to see if I am a winner! thanks. Great giveaway - I'd pick #1! Thanks bunches! I would love any of those options, but the fabric looks amazing!! 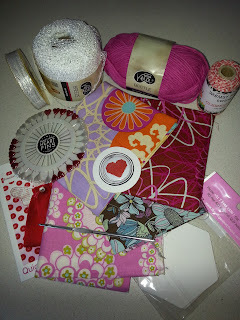 What a great giveaway, I love the fabrics! What a fun giveaway. Crossing my fingers for fabric--yours looks like it would be great for an I-Spy quilt. option A is for Awesome!